We have worked with thousands of people and hundreds of organisations across the health, community and local government sectors. We have been dedicated to training the health, community and local government sectors. We have supported services to improve access and equity in service delivery for people from refugee and migrant backgrounds. We have undertaken many projects which aim to promote healthy behaviours, increase awareness around BBV/STIs, and work with agencies to target at-risk populations. We have partnered up with research institutes and organisations to help address the gaps in research surrounding refugee and migrant health issues. Demos migrated to Melbourne with his family from Greece in 1954. Since 1985, he has held a number of positions in the health care sector including six years as executive officer with the health consumer organisation Preston/Northcote District Health Council. In 1991, he was appointed the chief executive officer of North Richmond Community Health Centre and in 1999, director for the Centre for Culture, Ethnicity and Health. His professional interests include health and cultural diversity, health issues affecting refugees and migrants, health equity and human rights, health of Indigenous Australians, the development of ethical health care practice and health care service research. Demos was awarded the Centenary Medal in 2000 for services to community health. A new significant partnership marks our 21st year. We have formed a research partnership with Monash University School of Nursing and Midwifery. We will collaboratively build upon the knowledge and understanding around issues of language services, cultural competence and health literacy. Together, we will work towards reducing health disparities of refugees and migrants by improving the quality of service delivery. A lot can happen in 21 years in culture, ethnicity & health! What would you like to hear discussed at our upcoming Seminar Series? We are calling out for ideas to help us shape this series of seminars so that they are useful, relevant and engaging to you. The Centre for Culture, Ethnicity and Health in partnership with Monash University’s School of Nursing and Midwifery will launch a series of three seminars to celebrate their new partnership and to provide a platform for scholars, practitioners, community partners, and policymakers to share ideas, knowledge and experience about migration, settlement, multiculturalism and cultural competence. We have three topics for focus – but we want to hear from you – what are some of the details, conversations, and discussions you’d like to hear around these topics? Our staff are the life of the organisation committed to working towards better health outcomes for people from refugee and migrant backgrounds. When I tell people about the size of our team, they’re surprised about how such a small organisation can do so much. I feel privileged to be part of something that is much bigger than we internally may conceptualize. Can’t wait to see what happens next! The sharing of ideas is encouraged here and opinions are valued. When I first started, I was happily surprised to hear about Travel Club, a monthly meeting where colleagues gather together at lunchtime to learn about the culture, heritage or travel experiences of a workmate. It warms my heart to be part of a team that finds fun and genuine ways to educate each other. My days at CEH are never the same. One week you may find yourself cooking with African women, and the next one implementing a social marketing campaign for the Vietnamese community or entering Sikh temples to discuss public health issues. Diversity, variety and flexibility is what I love about working here. It has been a pleasure to engage and work collaboratively with so many diverse and fascinating communities over the years. It was great to be a part of partnerships which empowered communities to address issues on their own terms. 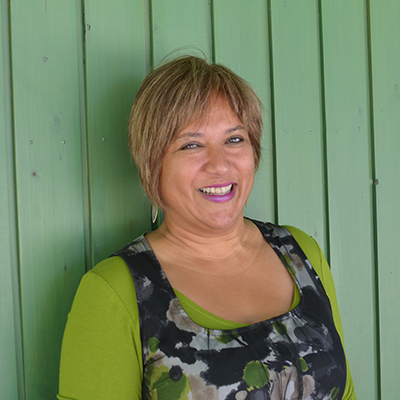 Dr Ruth De Souza holds a joint appointment as Stream Leader, Research Policy and Evaluation at the Centre for Culture Ethnicity and Health and as a Senior Lecturer at Monash University School of Nursing and Midwifery. After extensive experience working in mental health and maternal health, in 1998, Ruth moved to the education sector to take up a role at Unitec Institute of Technology where she co-ordinated mental health and communications courses. She then moved to AUT University where she co-ordinated the Centre for Asian and Migrant Health Research. Ruth also worked in the School of Nursing and Midwifery teaching Primary Health Nursing and developing the Masters of Health Science (Mental Health). Ruth moved to Monash University in 2013 to take up a role as the Course Convenor of the Bachelor of Nursing (Berwick). Ruth is dedicated to developing a skilled and competent health workforce that provides quality care to marginalised groups. Ruth hopes this joint appointment will help to bridge the gap between research and practice.